Learning Center > What Is Genetics? Genetics is the area of biology dealing with heredity and variation. It begins with the observation that offspring tend to resemble their parents. Breeding a pair of Shetland ponies does not produce a Clydesdale. On the other hand, offspring are not always exactly like their parents. Just as a pair of human siblings may have different colored hair, the coat color of a foal might not resemble that of either parent. The theory of genetics explains both heredity and variation, and in some cases allows specific predictions about the traits of offspring expected from a particular cross. Traits differ with respect to the influence of heredity. Some traits are strongly influenced by factors in the environment. For example, the performance of a horse at racing or other tasks requiring training is in part influenced by heredity, which determines a horse's potential, and training, which determines to what extent a horse will realize its potential. Thoroughbred "stayer" and Quarter Horse "sprinter". Different breeds of horses are suited for different tasks. Some of the differences between breeds are explained by genetic variants that are well understood, while other differences between breeds result from genetic differences that have not been well studied. One example of a simple genetic difference between breeds is the different racing abilities of Quarter Horses and Thoroughbreds. 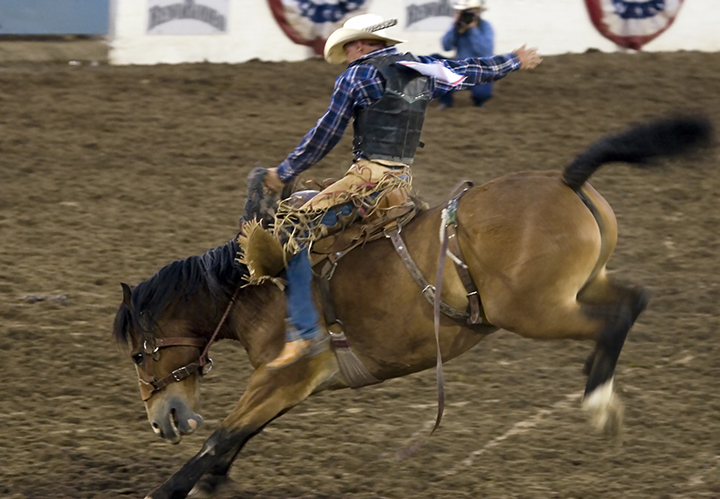 Quarter Horses are bred to run the quarter mile, and are like human athletes that are sprinters. They get up to speed very quickly but don't perform well over long distances. 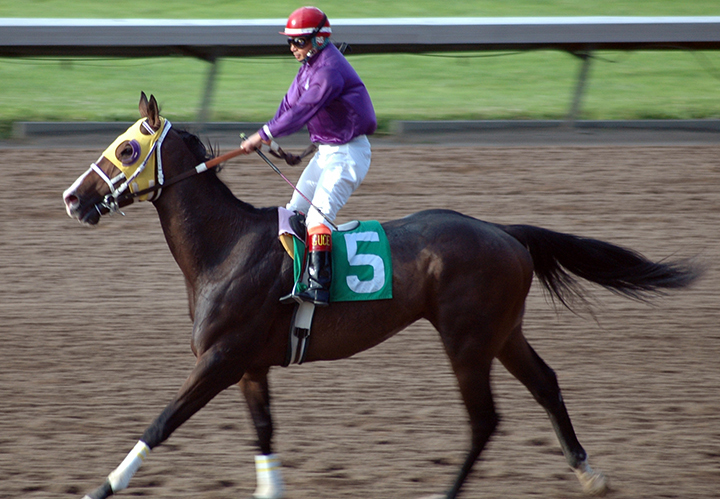 Thoroughbreds, on the other hand, are bred to run longer distances, like the Kentucky Derby at 1¼ miles. Most of the difference between "sprinters" and "stayers" is the result of variant forms of a single gene. Genes are units of heredity that are made of DNA. The function of a gene is to direct the synthesis of a protein. Slight differences in the exact makeup of a particular gene between individuals (differences in the DNA sequence of that gene) result in differences in observable traits. The gene that determines the difference between sprinters and stayers encodes a protein called myostatin. The function of myostatin is to regulate the amount of muscle development. The version of the myostatin gene found in Quarter Horses allows the development of more muscle mass than the version found in Thoroughbreds. The larger muscle mass of a Quarter Horse allows it to burst out of the starting gate and reach top speed quickly. However, it is difficult to haul that muscle mass over a mile, so a Thoroughbred will usually beat a Quarter Horse when the race is over a mile. 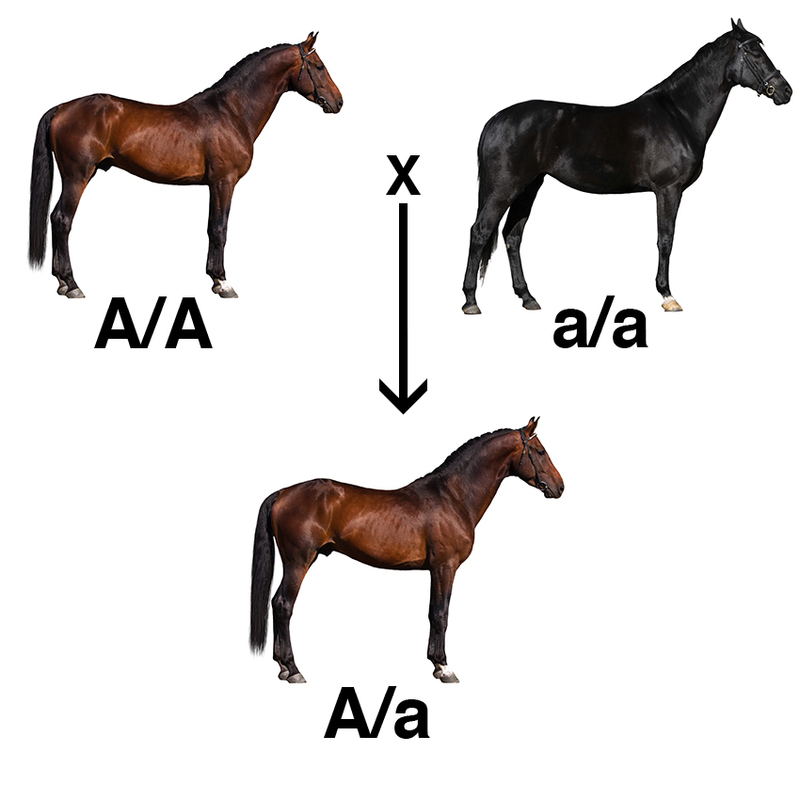 When a true-breeding bay horse (A/A) is bred to a black horse (a/a), the foal gets one copy of the agouti gene from each parent (A/a). A horse receives one copy of each gene from each parent. There are over 20,000 genes in the total genetic material of a horse. The collection of two copies of each of the 20,000 genes is called the genome. The genome is the blueprint for building the horse. We are still very early in understanding the role of each of the 20,000 horse genes in the inherited traits of the horse. Some genetic variants that are well understood determine coat color. A very limited number of genetic variants that are well understood determine performance traits, like the difference between sprinters and stayers or the difference between horses that have four gaits and those that have five. Some genetic variants are known to be responsible for inherited diseases. There are many inherited traits whose exact basis, in terms of the genes and the proteins affected, is not known. Investigation of the genetic basis of inherited traits in horses will improve breeding. A more complete understanding of traits affecting performance will facilitate the breeding of horses with optimal performance of specific tasks. A more complete understanding of the genetic basis of inherited diseases will allow these undesirable traits to be bred out. Application of modern genetics to horse breeding will improve the ability of breeders to breed out the bad and breed in the good.